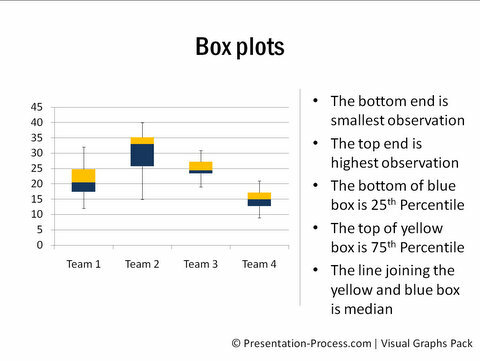 Description: A box plot shows groups of data through their five number summaries. 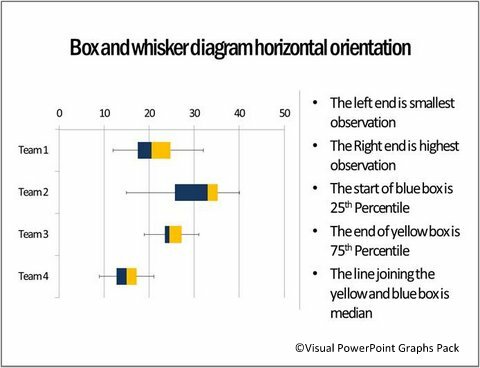 They are the smallest observation, lower quartile, median, upper quartile and highest observation. 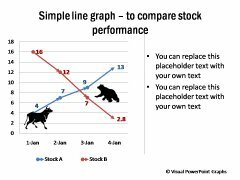 This is most often used to represent stock performance. 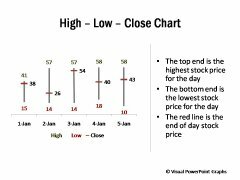 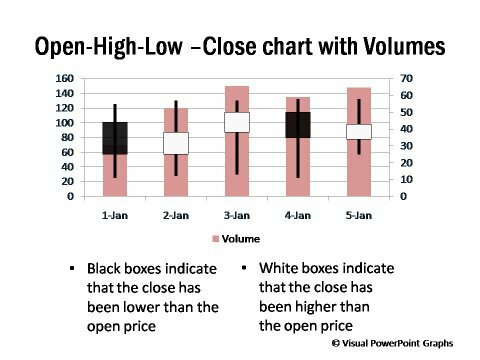 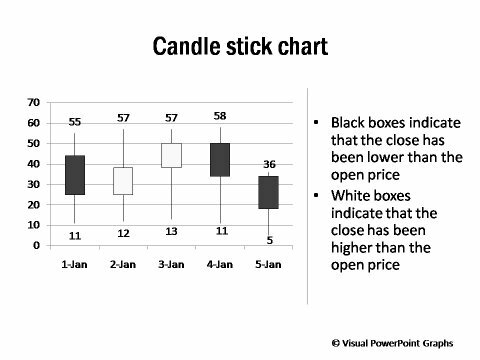 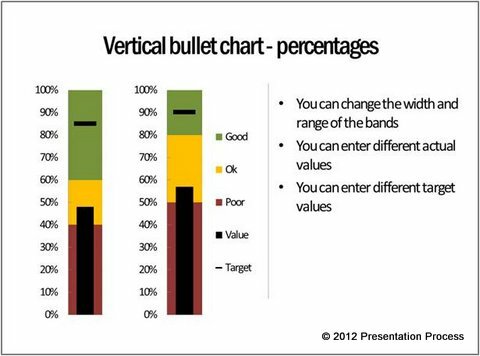 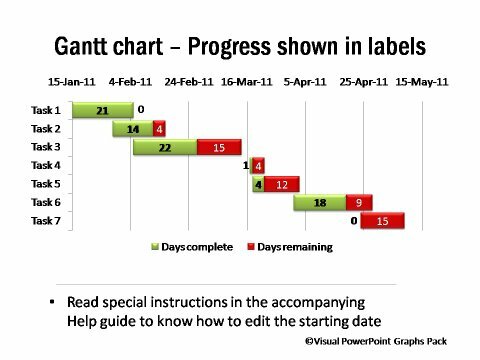 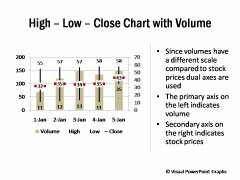 Though box chart is not a native chart of PowerPoint, the slide allows you to create the chart by just editing relevant numbers in the worksheet.